Ontario’s unionized industrial, commercial and institutional construction industry is joining other voices in Ontario construction in supporting MPP Steven Del Duca’s private member’s Bill 69, the Prompt Payment Act. The Bill awaits review by the Ontario Legislature’s Standing Committee on Regulations and Private Bills. “Contractors and workers in the unionized ICI construction sector support this legislation because late payments are a drag on the construction industry, and the economy as a whole,” said Sean W. Strickland, chief executive officer of the Ontario Construction Secretariat. The Prompt Payment Act would be the first legislation in Canada to address, for all contractors, the issue of timely payment for work that is completed and approved. It would also put all players in the Ontario construction industry on a level playing field when it comes to getting paid in a timely manner. These changes will reduce risk, allowing for better business decisions, higher levels of investment and employment, to deliver benefits throughout Ontario’s economy. 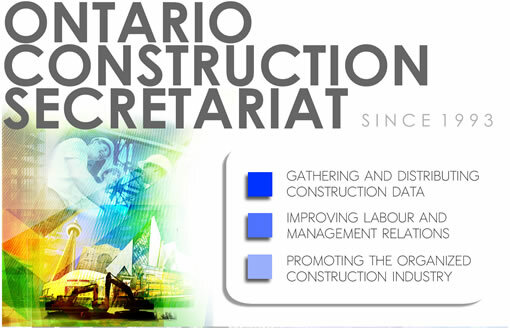 Many member organizations of the Ontario Construction Secretariat have been involved from the outset in discussions to develop the Prompt Payment Act.